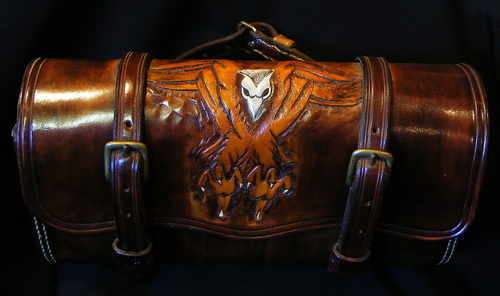 Bear's hand-made custom leather work . Made to you design , requirements and size . 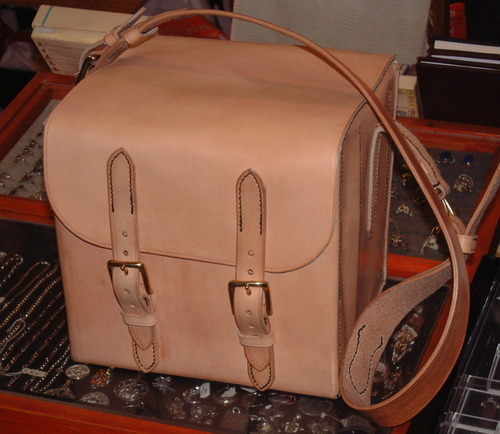 We do not mass-produced and many of our items are one-offs . All requests will be considered . 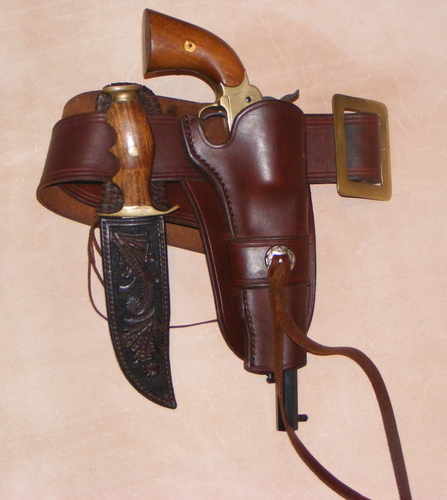 We also make equipment for re-enactment , living history and roll play . For further information and pricing please get in touch . 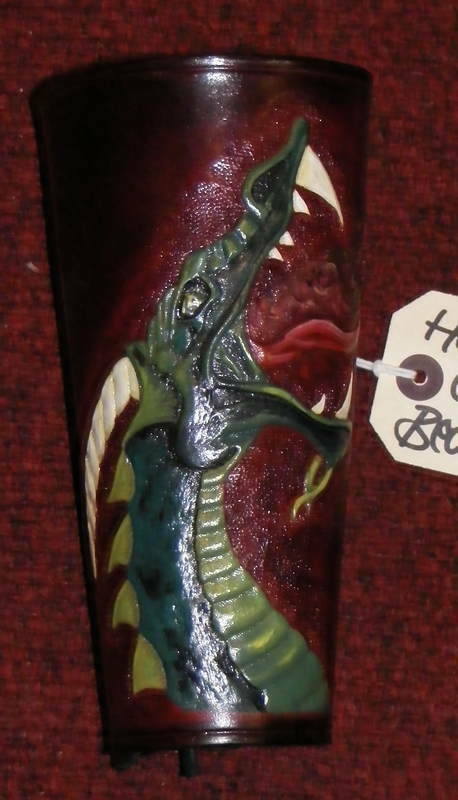 Hand made tooled leather-covered drinking horn . 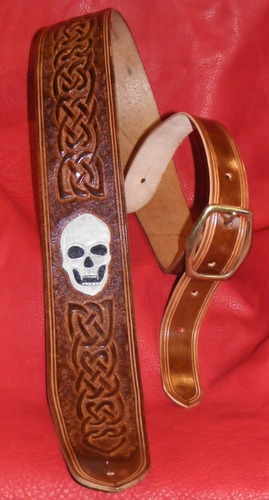 With celtic tooled design , and horn liner . 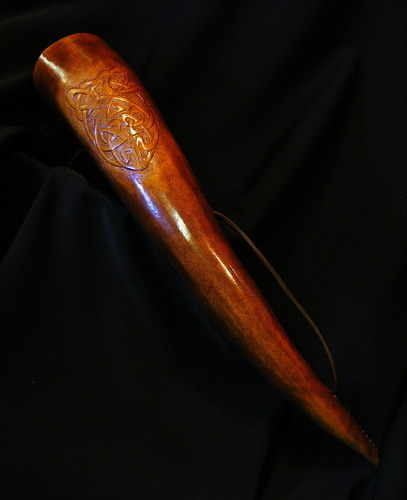 All drinking horns can be made to order. 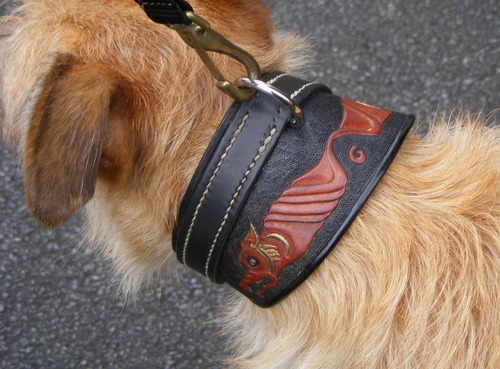 Tooled saddle stitched customised greyhound collar . 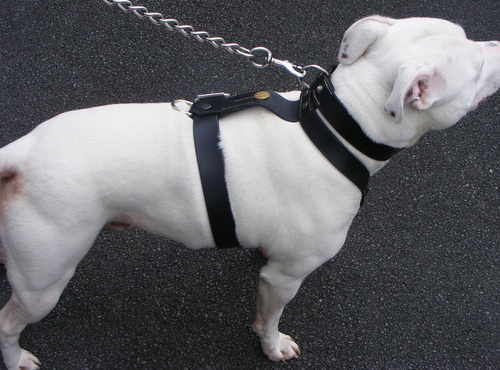 harness was made with a built-in collar for better control of the dog. 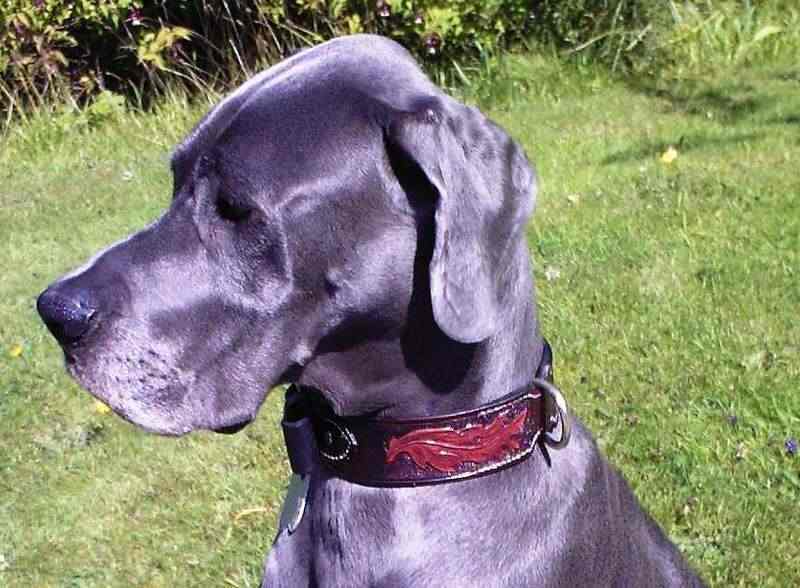 All harnesses are made to order. 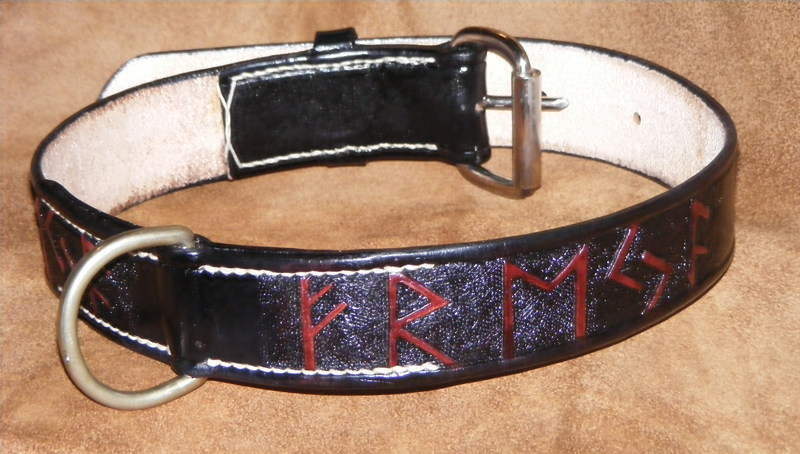 Custom made Runic dog collar with the dog's name in Runes . 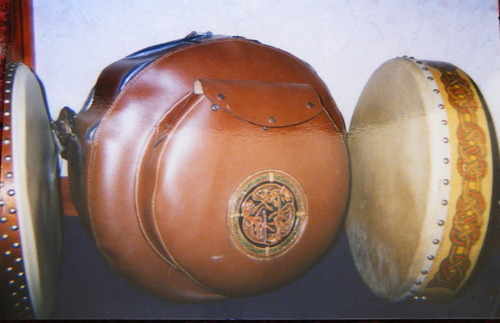 Customised leather drum case , with tooled celtic design . 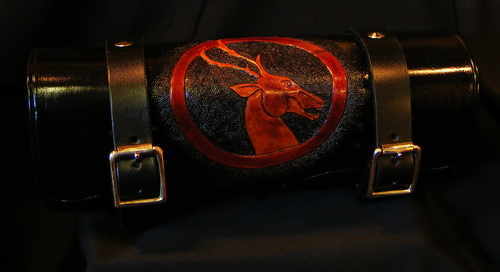 Saddle stitched leather tool role in black with tooled stag design , chrome fixings . 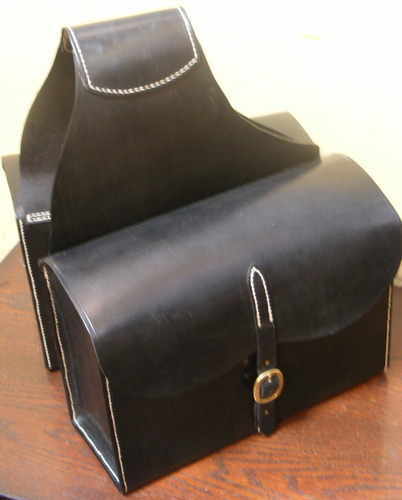 All our tool rolls can be made to size and shape , with or without tooling . 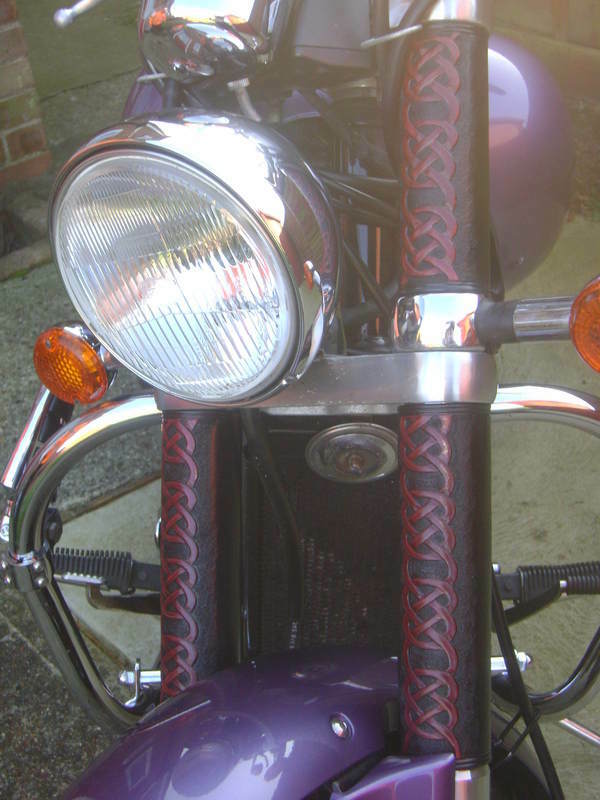 Customised fork gaiters , celtic design . 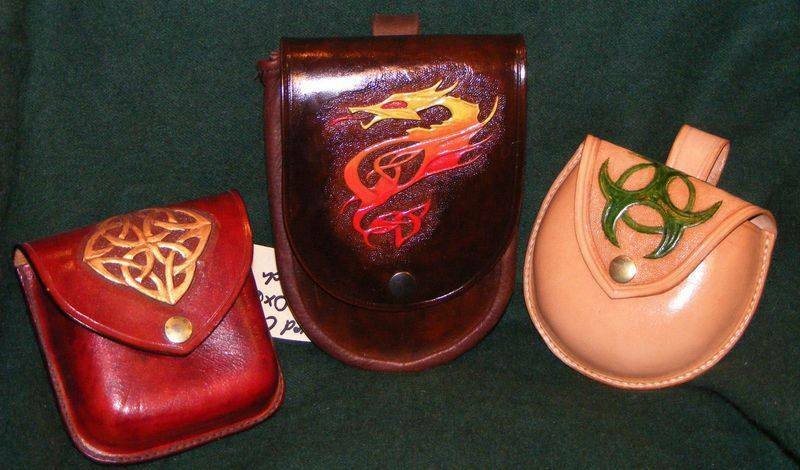 Hand made leather tooled arm guard with dragon design , laced back . you own idea of pattern and lettering . 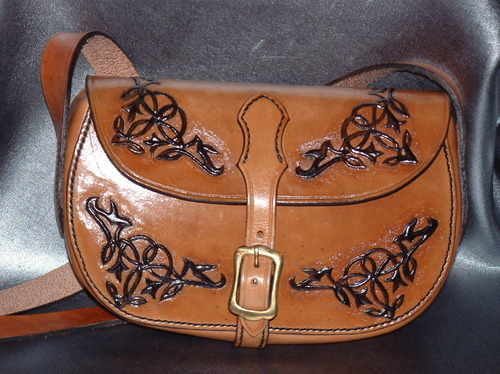 to fitt on to wallets bags etc . 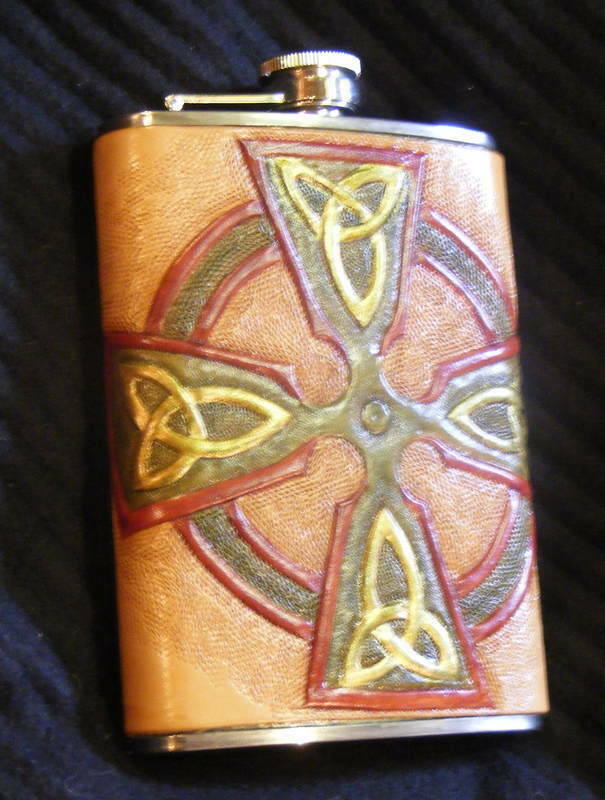 Hip flask with Celtic designed leather cover . to make sure of a good fit . 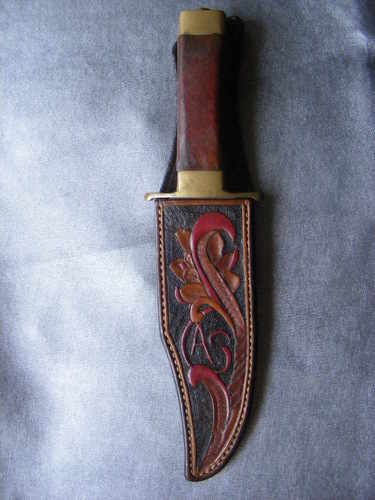 Please see the knife sheath page for more information . with brass fittings for historically accurate commissions . 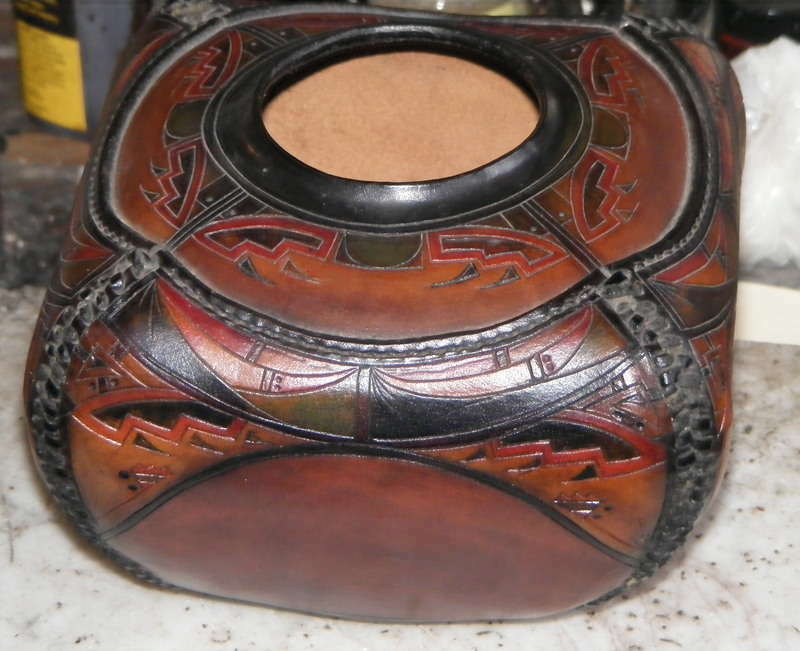 traditional , plain or tooled . the gun . 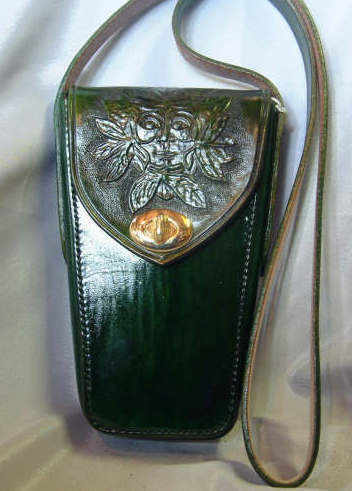 Please see the knife sheath page for further information . 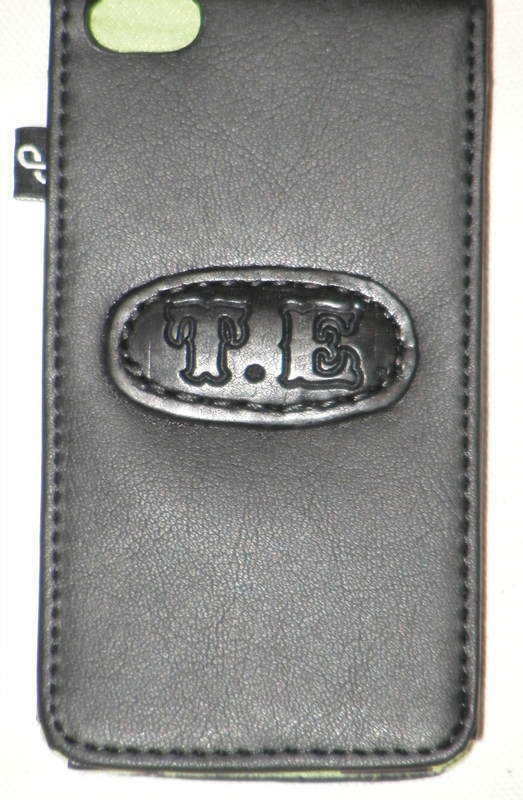 initialed patch sewn on to the customers phone case .